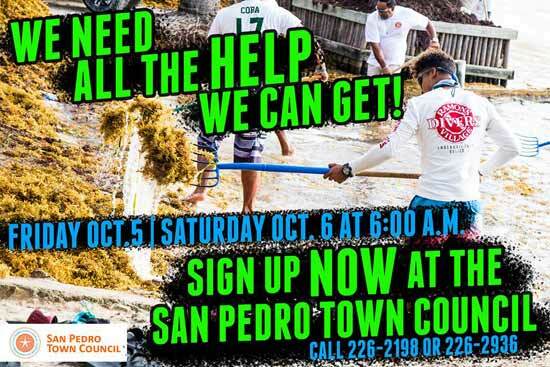 The Sargassum clean up in San Pedro continues on Friday and Saturday. Registration can be done at SPTC office. Today we will be gathering at the entrance of San Mateo at 6:00 a.m. I hope you can make it!